What led to the Russian Revolution? By the late 1800s, after the Crimean War, people in Asia were looking at the new republican governments in Europe and the United States, and beginning to ask why they couldn’t vote for their leaders too. As in China at the same time, many people wanted to have factories and machines the way people did in Europe and the United States. When was the Russian revolution? In the middle of World War I, in 1917, Russian people were especially angry because the Russian army wasn’t doing well. First they shot the last Czar, Nicholas II. Then they put in a Communist government led by Lenin, which ended Russia’s fighting in World War I by making a treaty with Germany. The demands of this revolution were the same as in most revolutions: the cancellation of debts and the redistribution of land. The government took land away from rich families and gave it out to poor farmers. 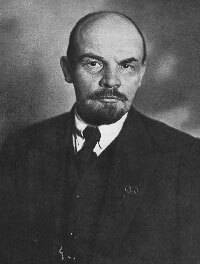 Lenin also began to build modern roads and factories and change farming over to tractors and combines instead of oxen and horses. Women got equal rights with men in theory, though there were no women in positions of power in the new government. Jewish people also got more freedom and less persecution, and there were many Jewish people in the new government. Lenin died when he was 54 years old, in 1924, and then there was a fight between Trotsky, who wanted full communism, and Stalin, who wanted power for himself. 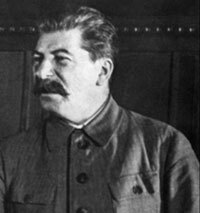 Stalin won, and soon Stalin was just as much in control as any of the old Czars. Stalin killed millions of people who he thought might disagree with him. Millions more died fighting Germany and Japan in World War II. And, just as in China, millions of people starved because of problems with industrializing farming. Stalin died in 1953, and although he had children, his minister Krushchev took power. Krushchev kept all the power in his own hands. He tried to fix the problems with the farms and get everyone enough food – partly by buying wheat from the United States and Canada – but his ministers thought he wasn’t doing a good job, and in 1964 they replaced him with Brezhnev. Brezhnev didn’t accomplish much either, and Russia didn’t keep up with new ideas in Europe and North America. 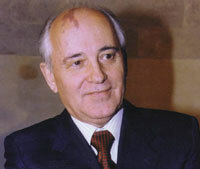 When Brezhnev died in 1982, Gorbachev soon took power. Russia abandoned its claim to its empire, and in 1991 many parts of the old Russia became independent countries: Lithuania, Georgia, Ukraine, Uzbekistan, Kazakhstan, Kyrgyzstan, and many others. Many people thought that Gorbachev’s choices would lead to democracy in Russia, but recently Russia’s current leader, Putin, has moved in the other direction, making sure that most of the power stays in his own hands, as it was in the time of the Czars. Cite this page: Carr, K.E. Russian Revolution – History of Russia. Quatr.us Study Guides, May 30, 2017. Web. April 23, 2019.